This looks like a marching band of some sort and the location looks like Germany (by the writing anyway), other than than I don’t know what is going on here. according to the postbox, this must be in Austria, very likely in Tyrol. the band could be the “Trachtenkapelle Kematen in Tirol” , but that´s just a guess. 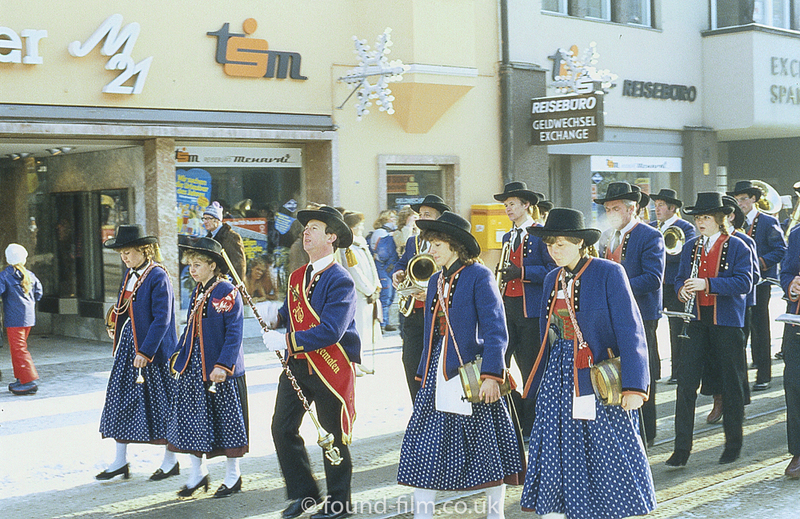 i sent the link to the Musikkapelle Kematen (Tyrol) and the very helpful chairman told me that the pic dates from 1983 and the location is Innsbruck (capital of Tyrol). Wow – thanks for that Hans!